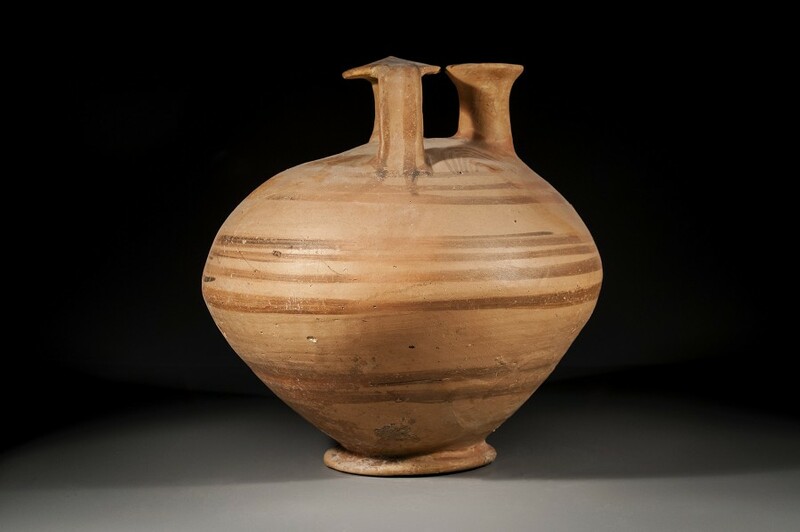 CivilizationLate Bronze II, 1400 B.C.E. 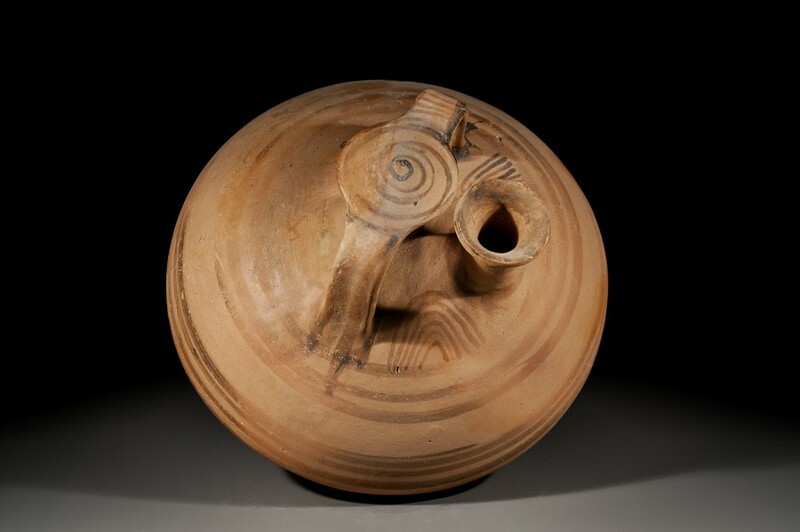 - 1300 B.C.E. 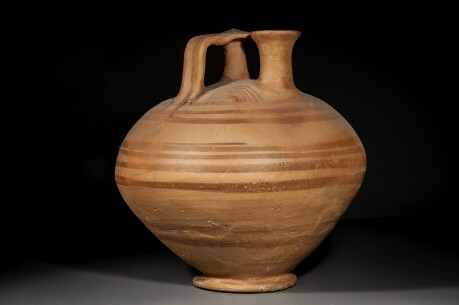 A large Mycenaean stirrup jug. 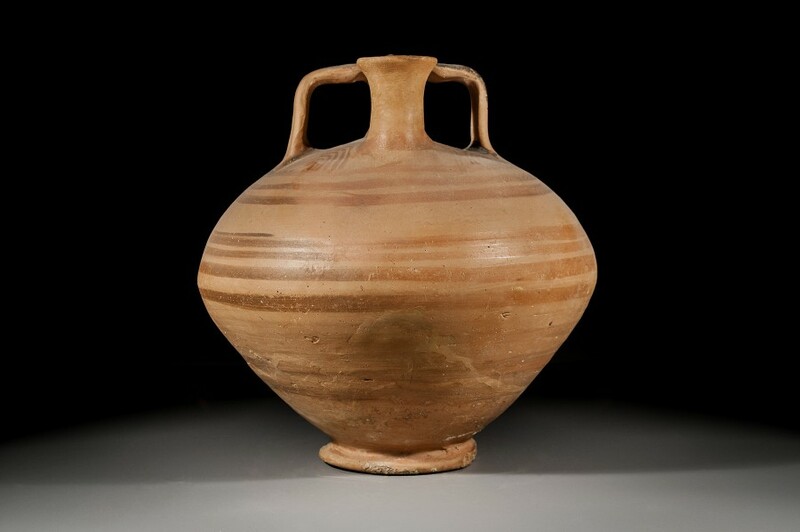 This type of vessel takes its name from the stirrup-shaped handles at the top. In antiquity, such jars—easy to carry and stow, and designed not to spill—were commonly used to transport wine and oil throughout the Mediterranean.